SunPower and Ford have teamed up to bring you the Drive Green for Life program. Sign up for a free solar estimate. 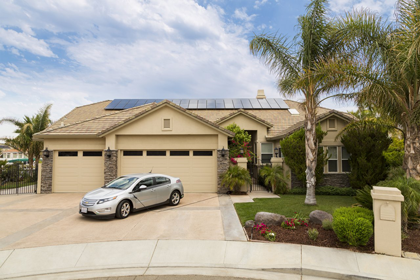 Get a $1,000 mail-in rebate with the purchase1 or a lease of a SunPower® solar system2 for your home and Ford EV. Sign up for your free estimate today. SunPower is the best solar investment you can make today. Our systems produce an incredible 60 percent more energy over 25 years than conventional panels.3 And not only will you see greater savings on your electric bill year after year, you’ll also use less roof space. Which means more room to expand as your energy needs grow. Who knows, maybe there’s an electric car in your future. Take advantage of solar incentives today and receive a big 30% Federal Income Tax Credit!4 Additionally, solar can send your home resale values through the roof. A recent study in California estimates that purchasing solar can increase the resale value of your home by more than $5,000 per kilowatt added.5 That alone may help cover your system’s cost! 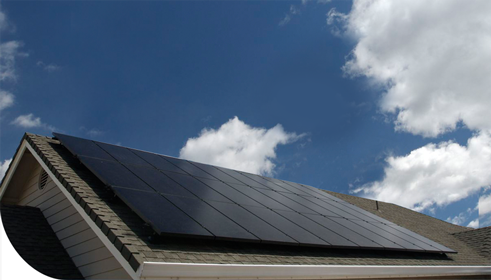 SunPower systems are a breeze to own, no matter what climate you live in. SunPower durability is unmatched. And when you consider that just one in every 20,000 SunPower panels is returned under warranty6, it’s clear: we’re making service calls a thing of the past. 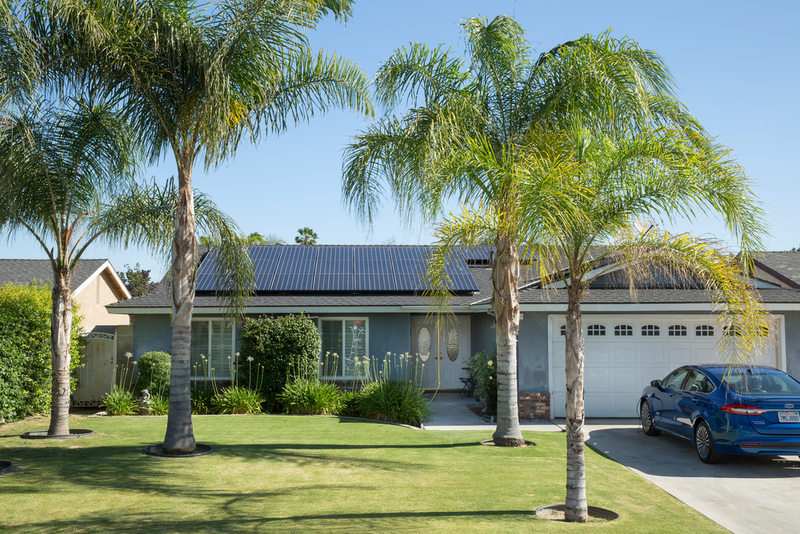 When you choose SunPower, you’re partnering with 30 years of solar experience. So you can feel confident that you’ll have the best solar experience, today and in years to come. We proudly design our panels right here in America, and stand by them with a 25-year Combined Power and Product Warranty that leads the industry. Turning sunshine into energy is pretty cool. Doing it all sustainably with SunPower is even better. Contact us to talk to a SunPower solar representative, and get a free estimate today. 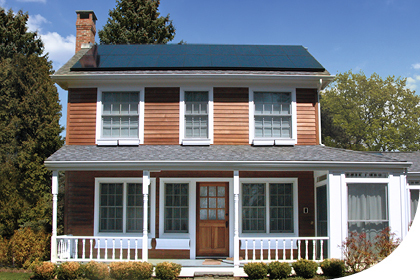 Eligibility Requirements: Must own your home, complete the home solar estimate form on this site, and submit the rebate form according to rebate terms below. Only first-time customers are eligible, excluding customers who purchase new homes with solar installed. Customers who have received quotes on existing proposals or past purchases are not eligible. 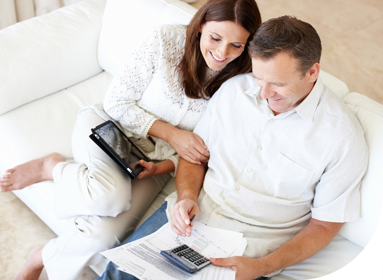 Rebate Terms: Before offer costs will vary, depending on system specifications. Cannot be combined with other offers. Rebate form must be completed and returned to SunPower within 90 days of the final invoice date. Allow 6-8 weeks for processing. Any donations will be processed with the rebate. Late submissions and those submitted without proper documentation and signatures will be subject to delay or cancellation. Void where prohibited. Savings achieved and return on investment depend upon a number of factors that vary according to each customer’s particular circumstances. Without limitation, these factors include: equipment used, system size, system orientation and shading, insolation available, and applicable utility rates and rate structure, as well as customer’s eligibility for rebates, incentives, and net-metering or similar programs (the availability of which may differ for each customer). Therefore, each customer’s experience will vary, and the descriptions above may not represent the average customer’s experience. SUNPOWER and the SUNPOWER logo are trademarks or registered trademarks of SunPower Corporation in the U.S. and other countries.